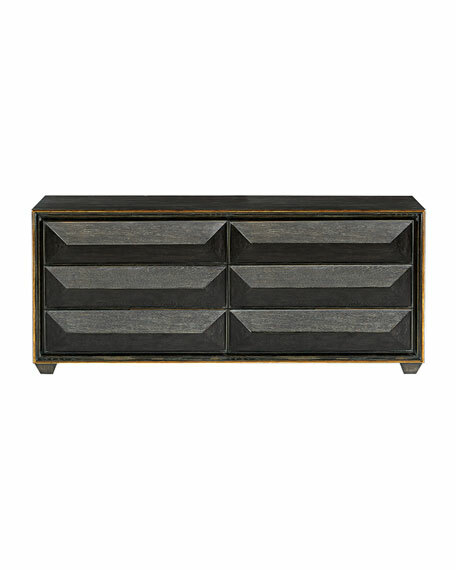 Oak solids and veneers in black limed finish with antiqued-gold tipping. Six drawers with touch-to-open feature. 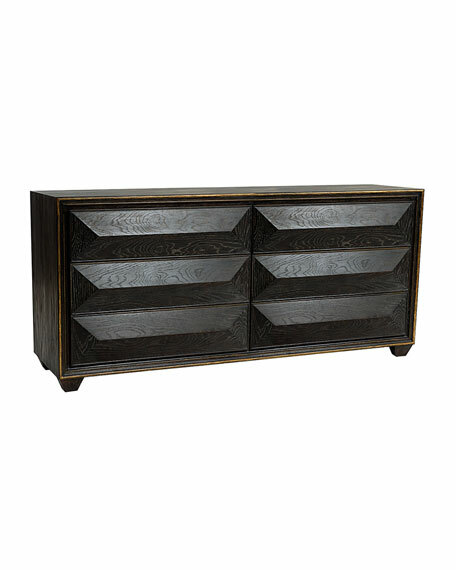 63"W x 19.25"D x 35.75"T.
For in-store inquiries, use sku #1937832.